Photo: The Beach at Collaroy, with the sand coloured Surf Life Saving Club featuring prominently. 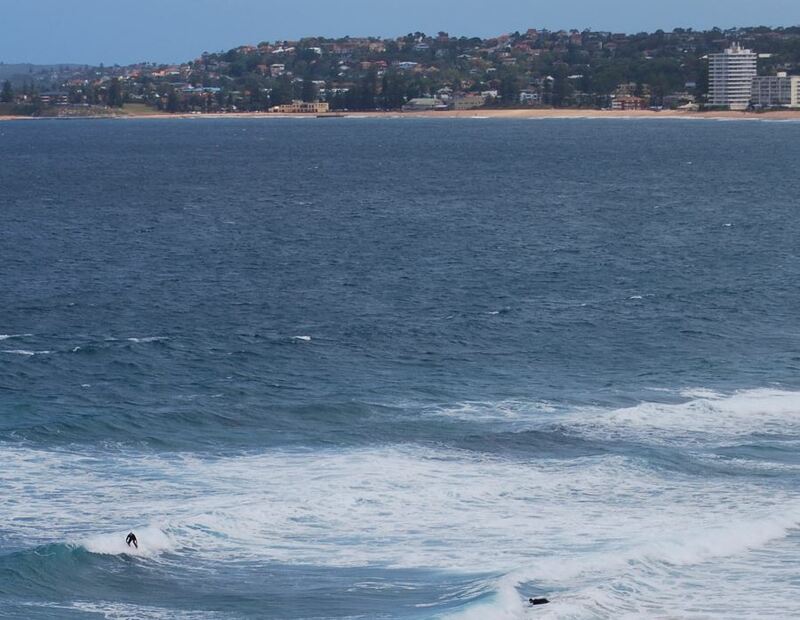 The long stretch of beaches along the Sydney north shore all offer surf, sand and sun. Collaroy, like the adjoining beach of Narrabeen, has been subjected to continuing erosion from the coastal storms, but so far has been able to maintain its presence. The beach with its golden sand is still a great place to swim, surf and generally laze about in the sun. The beach has popular with visitors and locals since the early 1900s. Having derived its name, Collaroy, from a steamer which had become stuck there after a storm in 1890, locals decided to form a safety surf club. Collaroy Beach has a sand coloured SLSC next to the sands. The members are there for you and your family, please follow their instructions and are available in the warmer months to tell you about the beach conditions and further advice. There is usually at least some surf, with sand breaks all along this long beach including adjoining Narrabeen. There is pay parking available at the beach, and more if your prepared to walk. There is a regular bus service from the city as well as Manly Wharf, located on the north side of Sydney Harbour. You can catch a regular bus service from Manly (151). Catch the ferry from Circular Quay at the foot of the city, enjoy a ride on the ferry or jetcat over the stunning harbour and take the bus past more beaches and scenery. The bus stop is at the Manly Wharf where the Sydney ferries and jetcats travel to. Main Photo: The Beach at Collaroy, with the sand coloured Surf Life Saving Club featuring prominently.